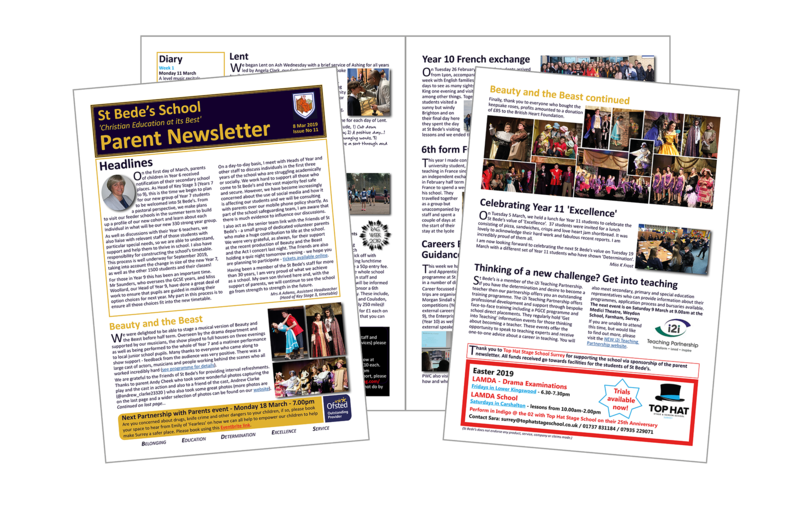 Our latest Parent Newsletter (issue 11) is now available to read. There are some important messages and lovely articles about what has been happening in school recently. Many thanks to Top Hat Stage School Surrey for supporting the school via sponsorship of the newsletter. More information on the back page of their current activities or visit their website.